There are many ways to secure two pieces of pipe together, and one of them is called a compression fitting. These fittings have cap nuts on each end which tighten a compression sleeve called an olive against the tubing and the fitting, stopping any leaks from forming in the process. 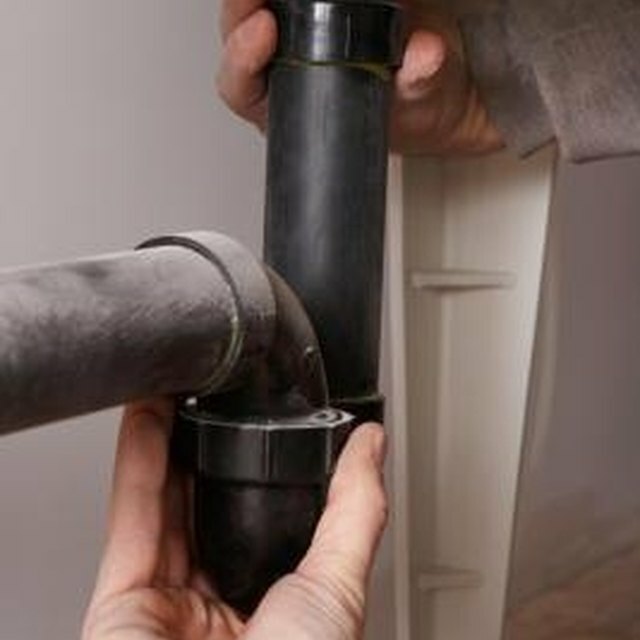 If you do get a leak, there's either a problem with the fitting or the connection, so you'll have to go in and fix it. It shouldn't take long to make the joint leak free. Find the compression joint with the leak, and look at it to determine which side of the fitting is leaking. Turn off any water source leading to the leak by turning off the shutoff valve leading to the fitting, be it under a sink, or the main feed to the building. Put a bucket underneath the joint to catch any water that could leak. Loosen the cap nut on the leaking end of the pipe using the crescent wrench. Slide it back off of the body of the fitting, then slide the olive away from the body of the fitting. Inspect the olive, and see if one side of it is shorter than the other. Make sure that shorter side runs into the fitting, and if not, pull it off of the pipe and reverse it. Wrap the Teflon tape around the olive in a clockwise orientation, doing eight total revolutions with the tape. Reinstall the nut on the body of the fitting, then tighten it down using the crescent wrench. Turn the water flow back on to the compression fitting, and make sure there are no more leaks. If you're still having leaking problems, you might have a bad fitting entirely. Replace the fitting with a new one using the crescent wrench, making sure that there are new olive fittings and nuts on each side. Make sure the pipe is pushed into the tubing as far as possible on both sides as well, and that the olives are seated tight against the body of the fitting before tightening down the nuts using the crescent wrench.